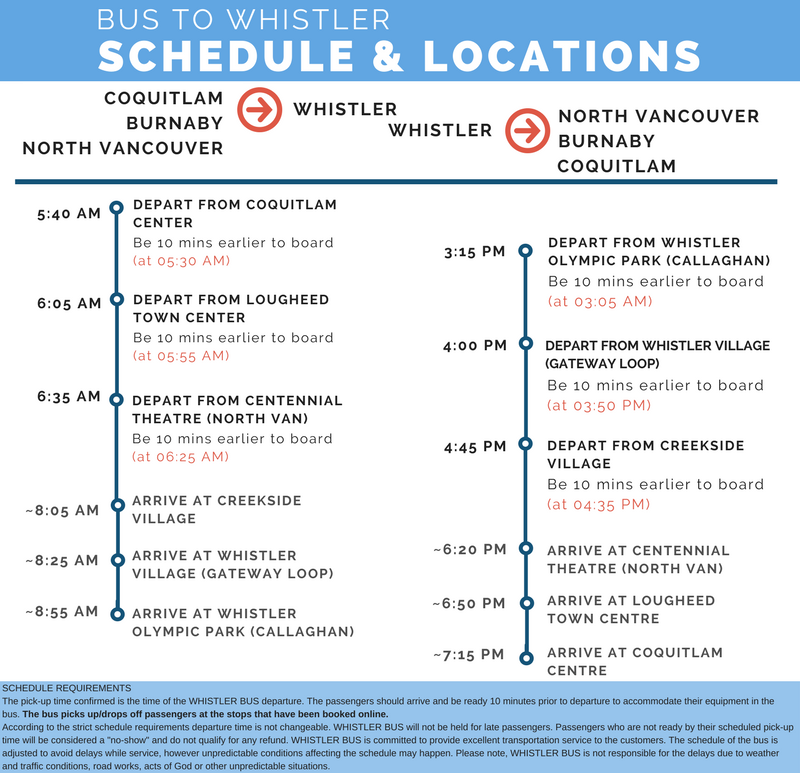 UNIQUE Pick Up/Drop Off locations: Coquitlam (Coquitlam Centre), Burnaby (Lougheed Town Centre), SFU (SFU Campus) and North Vancouver (Centennial Theatre). 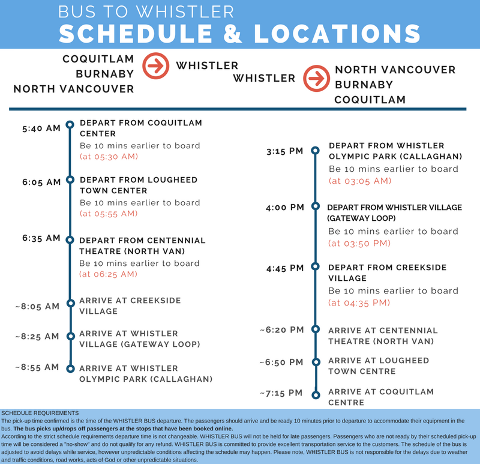 Check out all of our locations and the complete schedule: WhistlerBus schedule. 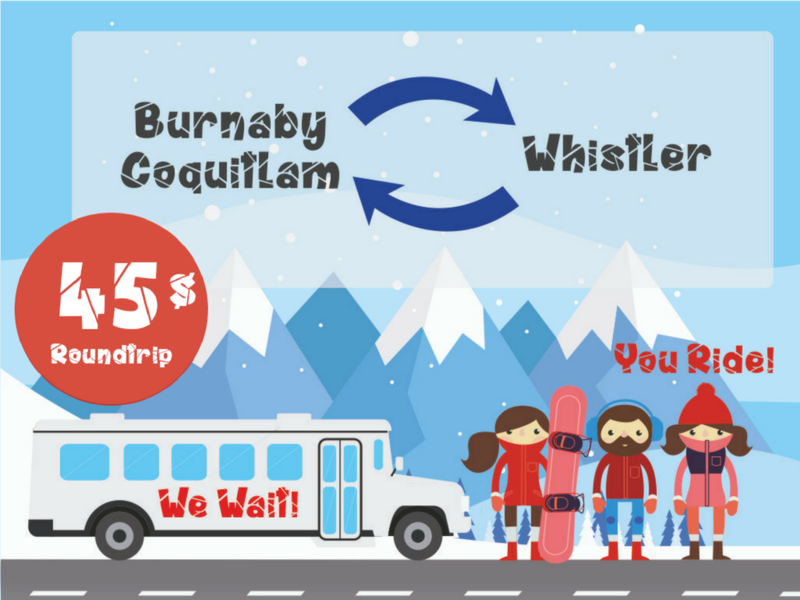 Great DEALS available: Subscribe to our special offers here and get discounts, gifts, current Whistler news and events, and EVEN a chance to win a free ride! 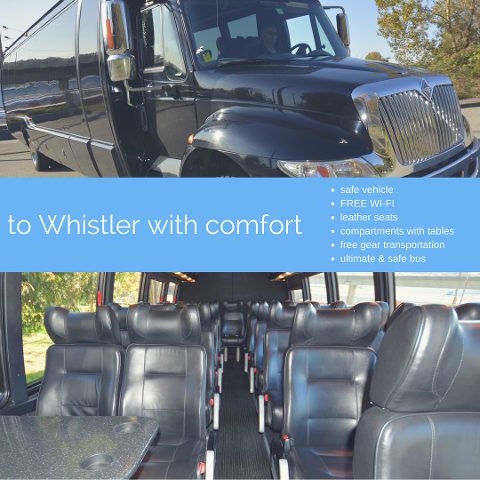 We are LOCALS and we are proud to serve our community as members of Tourism Vancouver. - If cancelled 48 hours prior to tour commencement, no charge is applied. - If cancelled within 48 hours of tour commencement, no refunds are available. By completing a reservation, you acknowledge and agree to have read, understood and agreed to the TERMS & CONDITIONS.